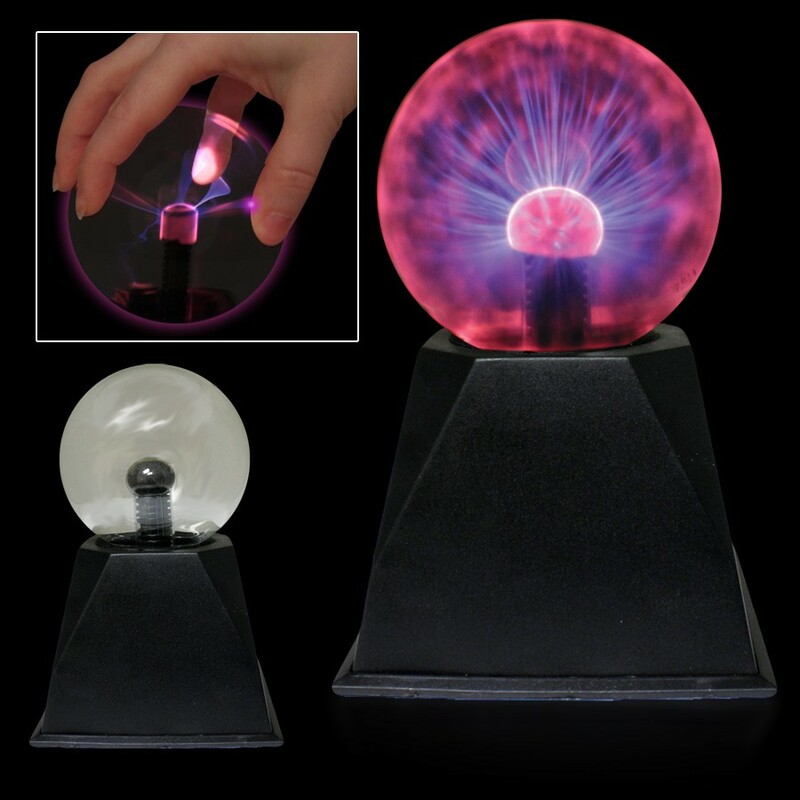 Add to the lighting and add to the mood at your next company party with our 7 1/2'' tall Laser Touch Static Ball. 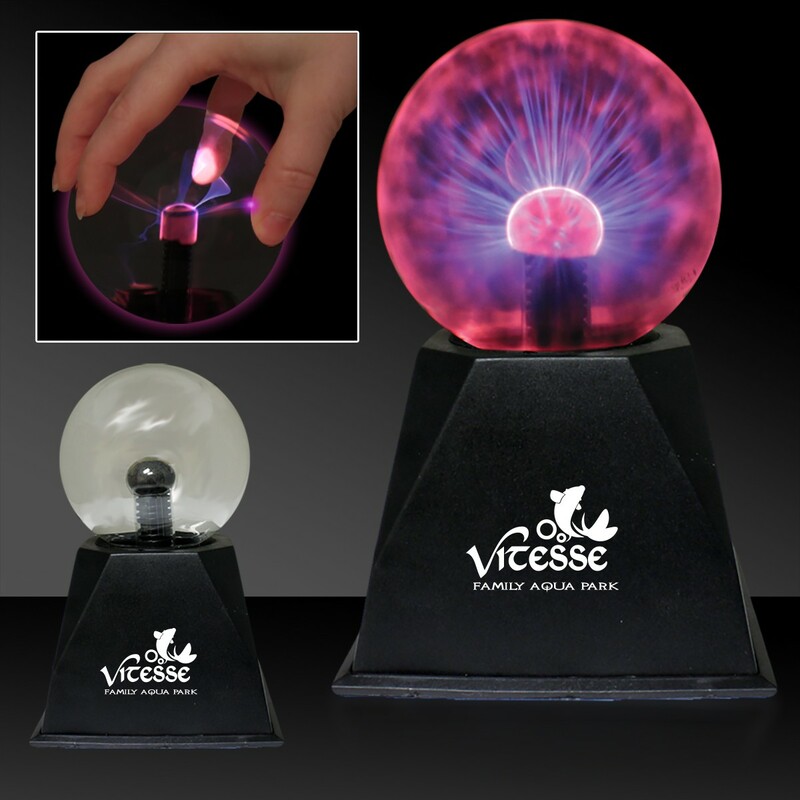 Watch the static lights shoot as you touch this the sides of this incredible light. Individually boxed and makes a great party prize or favor. Please order in increments of 1 piece. Perfect for client and customer giveaways! Price includes a 1 color imprint in one location. For all imprinting add a Set-Up of $55 (v). 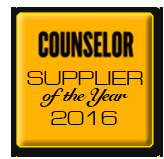 For additional locations and up to four color printing, call for pricing. 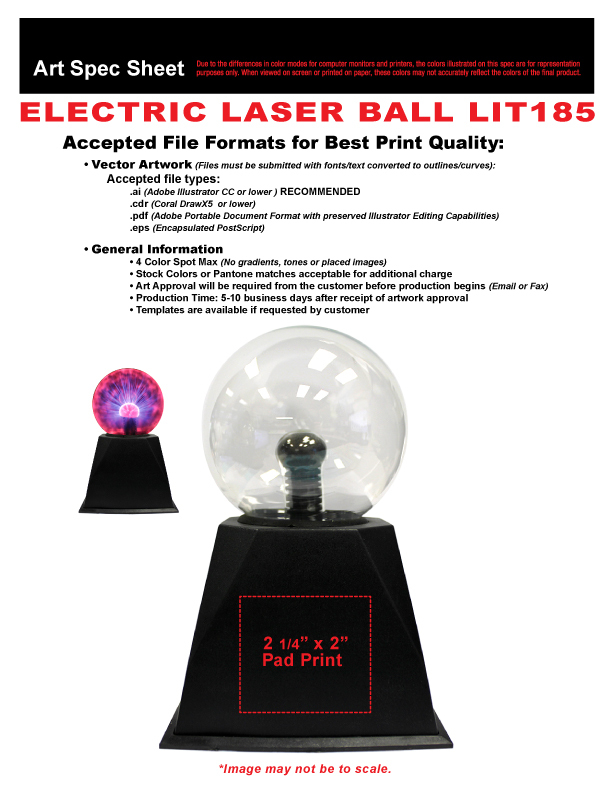 Imprint Minimum order is 24 balls. Imprint Method: Pad Print Only. Production Time: 5 - 10 business days from receipt of artwork and approval.